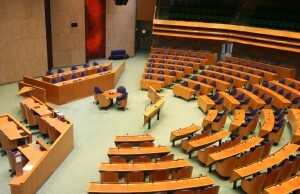 THE HAGUE – Member of Parliament for the coalition party VVD, André Bosman has no majority for his bill proposal with which he wants to impose strict requirements for the establishment of disadvantaged Antilleans in the Netherlands. During the treatment of the bill, it appeared that the bill does not have enough support yet to be approved by parliament. In particular, the opposition parties voiced harsh criticism. The Dutch opposition party D66 spoke of "racial laws". But coalition party PvdA still cannot accept the current proposal. Gerard Schouw (D66) was very harsh. "This initiative is a trash bill." He spoke further of 'tokenism' at election time and 'shoddy behavior'. Besides fundamental objections, the law is contrary to the prohibition of racial discrimination, the law, according to him, cannot be enforced. These inhabitants of Curaçao, Aruba and Sint Maarten have a Dutch passport and can easily enter the country through Belgium, he predicted. Groenlinks, the Socialist Party and the Christian Union expressed similar concerns. "There is a wedge between us and the islands, between one Dutchman and another Dutchman," said Gert-Jan Segers (Christian Union). "One of the most essential civil rights is being taken away: Freedom of establishment within the kingdom." Sharon Gesthuizen (SP) said not to be able to escape the impression that this is discrimination. These parties did agree that Antilleans in the Netherlands are a nuisance: they often have a benefit and are over-represented in crime figures. But that should be addressed with better education and work, Schouw said. "We should not move the problem." Also coalition partner PvdA indicated that they can’t approve the law yet. MP Roelof van Laar said he had fundamental objections towards this bill proposal. Bosman must adapt its legislation on important issues, he said. The law now discriminates on grounds of origin, and that's for the PvdA 'out of the question’. Also, all Antilleans will be affected by the proposal, while the law itself should only focus on disadvantaged islanders. It should be about Antilleans without a diploma or a criminal record. If the VVD modifies the proposal on these fundamental issues, the Labor Party may agree, he said. The Labor Party is in fact in favor of an arrangement that regulates the establishment of disadvantaged Antilleans, he said. The CDA is also for the setting requirements, but the current proposal will go too far. "We're not here to accept a law that could be contrary to human rights," said Madeleine Toorenburg. "Make it something that we can accept," she said. The PVV and SGP support the proposal. VVD MP, Malik Azmani defended the proposal of his colleague, which puts an end to the rampant influx of disadvantaged inhabitants of Curaçao, Sint Maarten and Aruba. They must satisfy a number of conditions if they want to come to the Netherlands. So they must have a job or must be pursuing an education. The VVD indicates that these islands have the same criteria: Dutch people who want to settle in the Caribbean part of the kingdom must also meet a number of criteria.